I’m going to be completely honest here and say that March was a lot better than February. It was a pretty tough month for me because of some things that happened, but thankfully March turned out to be much better. 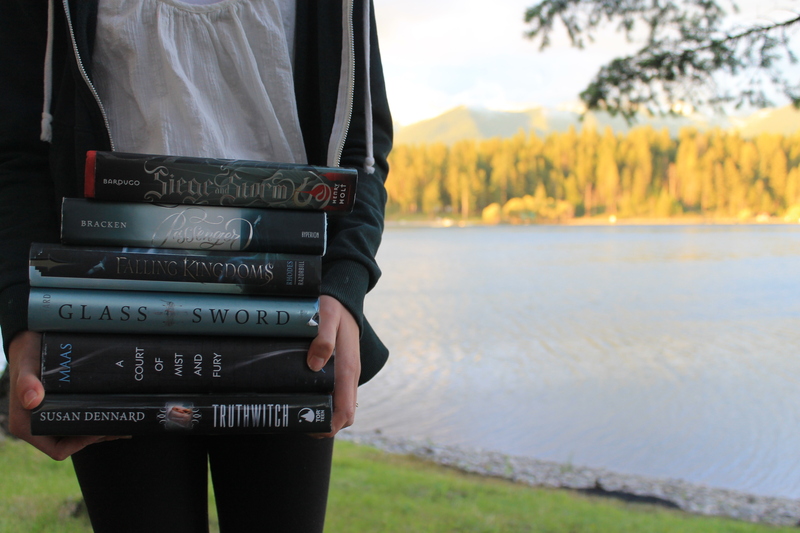 I read more books as well and I’m also almost all caught up with ARCs. Yay! I didn’t write as many blog posts as I would have liked, but I’m getting back on my old posting schedule this month for sure. Sophie Someone by Hayley Long was really confusing. Words were replaced with other words and it honestly made no sense to me. I ended up DNFing this one. I also DNF’d Blood Rose Rebellion by Rosalyn Eves. It was incredibly boring and I found the main character to be quite obnoxious. So I stopped reading at about 75% of the way through. Despite the fact that I ended up not finishing two books, it was a pretty good reading month overall. I’m hoping that this month I can read a lot more because I have spring break. I’m terrible at keeping track of what books I buy every month, so I hope I’m not missing anything. The Archived by Victoria Schwab is another book by one of my new favorite authors! I’m really excited to read this one, as the idea seems super interesting. I’m very excited to pick up where we left off in A Study of Charlotte with The Last of August by Brittany Cavallaro! I really enjoyed the last book, so I’m hoping this one is just as good, if not better. Guess who finally owns a Jane Austen book? This month I bought Pride and Prejudice, which is my first Austen book. I’m really looking forward to reading this. Last but not least (I think…), I received a hardcover UK edition of Strange the Dreamer in a subscription box this month! I recently posted a full unboxing over on Instagram if you want to check it out. I admit, this was not a great month for blogging. But like I said, this month I’m getting back on my old schedule of posting on Sundays and Tuesdays along with a review every Thursday. 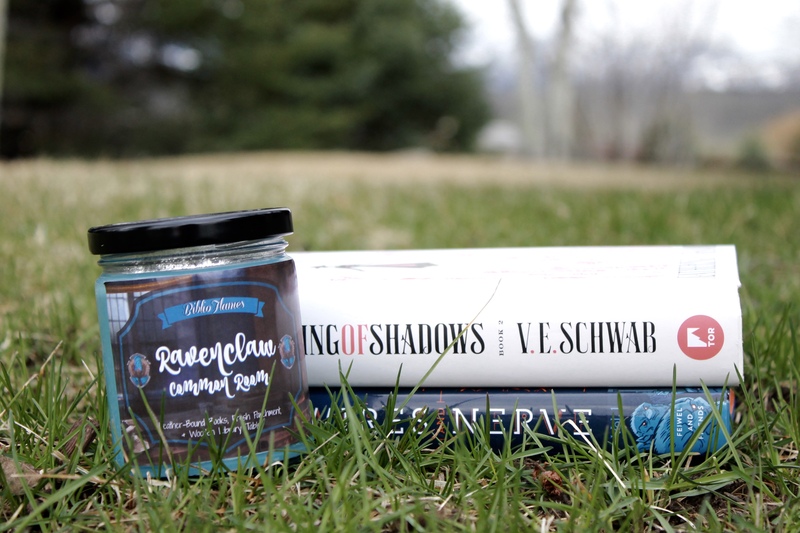 My February Wrap-Up was the first post I posted this month on the fifth *cries* It’s basically just this post but what happened in February instead of March. I posted my review of You’re Welcome Universe the next day because I was hurrying to get it done before the book came out on the seventh. Whoops. Out of the thirteen books I put on my Spring TBR post, I’ve actually read two so far and I’m currently reading two others. Not too bad, right? If you could choose any book to turn into a movie, what would it be? This month I also talked about Books I Want to Become Movies and now I can’t stop thinking about all of the books I listed actually becoming movies. I only reviewed two books this month, the second being Geekerella by Ashley Poston. I’m hoping that this month I’ll be able to read and review more books. Okay, well I did post two mini reviews and a discussion about DNFing ARCs. It was my only discussion of the month, which makes me sad. I really love writing discussions, so I’m going to be posting more of those this month as well. Last month I procrastinated everything and listened to a lot of Les Mis basically. I didn’t do anything all that exciting really. 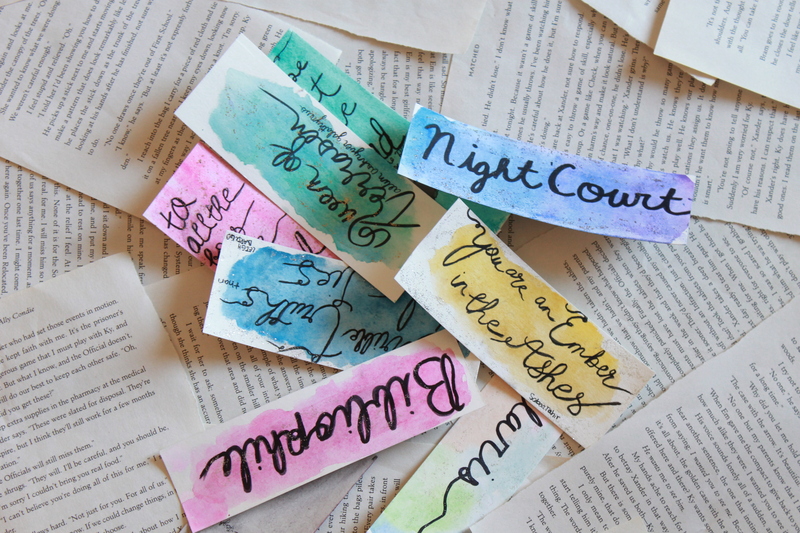 I made a lot of bookmarks for my shop GlitteringReadsShop and I also hosted a mini giveaway on my shop Instagram (p.s. I’ll be hosting a giveaway soon over on my bookstagram account when I hit 2k!). I might host a giveaway on here as well for some bookmarks if any of you are interested. Also, you can get 10% off in my shop when you use the code 10THANKYOU! Oh and I also started to work on my project for Camp NaNo a bit, which I’m super excited for. Are any of you participating in Camp NaNo? That’s about everything that happened this month. Nothing too exciting. I’m super excited for this month because it’s spring and warm weather, but also because spring break! Which also means I actually have time to read. How many books did you read this month? Which book was your favorite? Are you as obsessed with Les Mis as I am? Let me know in the comments below! Hope you have an awesome April! I really want to get to You’re Welcome, Universe and Wires and Nerve soon! I’ve heard such good things about both of them! I read The Outsiders in school, too. It’s been a really long time now – I should reread it. I remember loving it, but I don’t remember much of what happened!